Bienvenue! 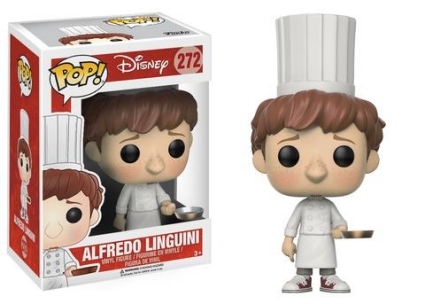 Funko Pop Ratatouille joins the Pop! Disney family. The set features main characters from the award-winning animated movie, Ratatouille. The Disney/Pixar film hit the big screen in 2007 with top actors lending their voices to make a rat’s goal of becoming a chef a reality. Hey, it’s a Disney movie, anything is possible. 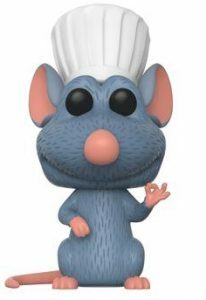 Remy, voiced by Patton Oswalt, has big dreams of one day becoming a renowned chef, however, he’s a rat, which complicates things. He befriends a busboy—Linguini—at a local French restaurant, and together the two serve up delicious meals. Shop for Ratatouille DVD/Blu-Ray options on Amazon. 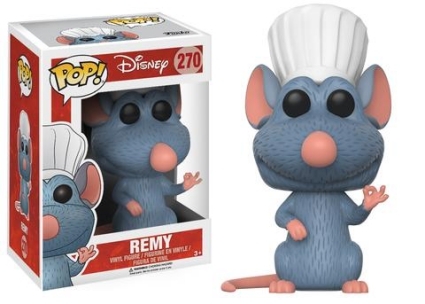 The star on the big screen and in Funko Pop Ratatouille, a bluish-gray Remy is positioned standing up on his back legs with his tail peeking from the side. Fans and collectors can also find a flocked Remy limited chase variant that averages 1:6 boxes. The talented rat wears a chef’s hat with his thumb and forefinger barely touching as if to say "Voilà!" 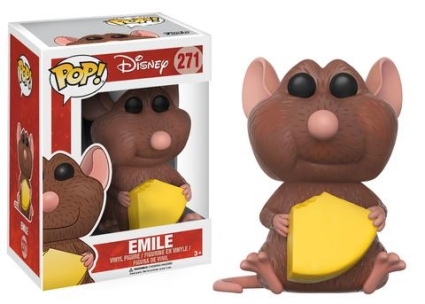 In contrast, his plump brother Emile is seated, legs up and out, with his mouth visibly full—presumably from a bite of the cheese he’s holding. Closing out the line, a slightly confused-looking Alfredo Linguini is dressed in traditional chef attire including a white double-breasted jacket, apron and the classic toque blanche (white hat). 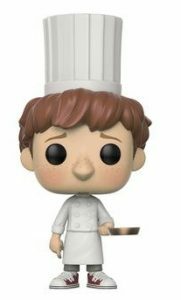 Standing approximately 3 3/4" tall, the Funko Pop Ratatouille set is numbered as part of the larger Pop! Disney line. Funko Pop Disney: Ratatouille Set of 3! Remy, Emile and Alfredo Linguini! Click on the listings or images to shop for figures on Amazon or eBay.